Welcome to the official website of the County Donegal Historical Society. The County Donegal Historical Society was founded by the late J.C.T. MacDonagh on the 20th December 1946. The objective of the Society is to preserve and record the history of the county. Since 1946 it has awakened a new interest in Donegal studies and has brought together people of different traditions and backgrounds. During the course of any one year the Society publishes a journal, the Donegal Annual, organizes a schools competition, holds several field days, a seminar, a coach outing, several lectures and other events. Down the years the Society has been responsible for initiating the Federation of Ulster Local Studies, establishing a museum and several other once off activities. We hope you enjoy browsing through our website. 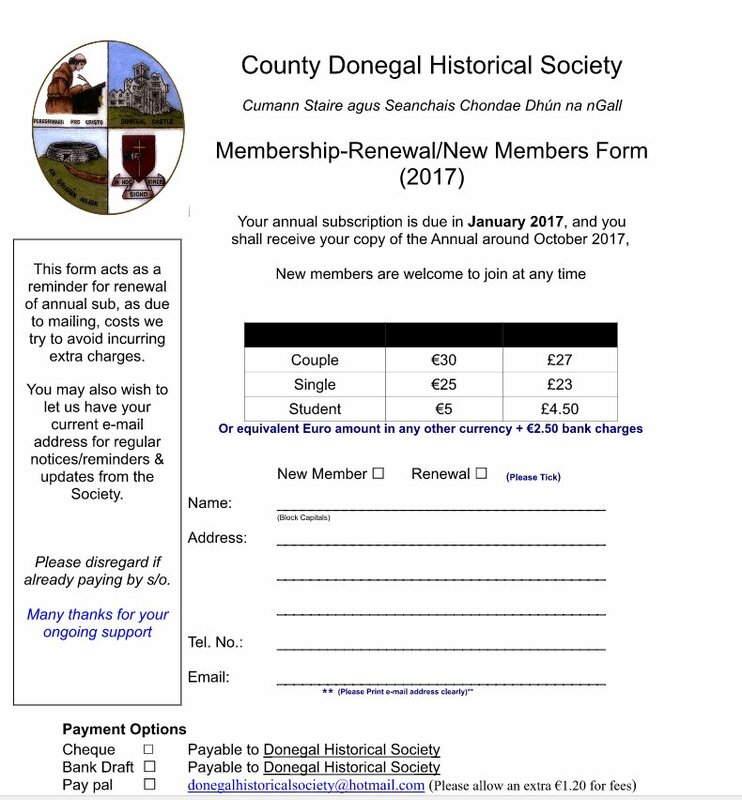 If you wish to leave comments about any aspects of the County Donegal Historical Society or this website, please feel free to contact us either by e-mail [unamcgarrigle@hotmail.com] or by leaving a message on the Guestbook. We welcome new members and information about joining the Society is available by clicking on Membership. Membership is open to everyone and at present we have approximately 800. Help us to make it 1000!